Primetime was again highlighted by the team figure skating event. American Bradie Tennell was able to keep her nerves in check, skating a clean short program. 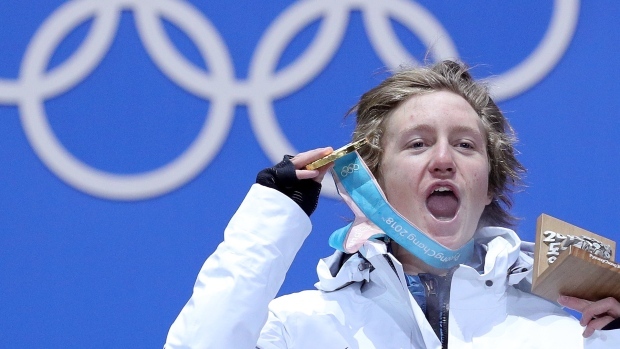 Red Gerard delivered in his final run to capture gold in the men’s snowboard slopestyle. Lastly, the wind has created some issues, postponing men’s downhill and women’s snowboard slopestyle. For the second Olympics in a row, the first U.S. medal came in men’s snowboard slopestyle. Gerard, a 17-year-old from Colorado, was in last place heading into the final round. The teenager struggled to put together a clean run in his first two attempts but didn’t let the pressure get to him. Gerard is known for his creativity, which helped earn him a score of 87.16 from the judges in his final run. However, Gerard still had to watch all the favorites after him. Canadian Mark McMorris, a gold medal favorite, fell in his final run. His countryman, Max Parrot, delivered a clean run, however he fell about one point shy of Gerard's score. When speaking to a reporter in April, 2017, Snowboarder Red Gerard did not seem too excited about going to the Olympics. Now that he won a gold medal has he changed his tune? Team USA is currently in third place ahead of the free skate phase of the team event in figure skating. Canada currently leads the standings after the second night of competition. The Shibutani siblings started the night for the U.S. in the short dance. The brother-sister duo finished second to earn nine points for the United States. Alex and Maia Shibutani dazzled the crowd with their high energy latin themed routine. The brother sister duo scored 75.46 points, earning high marks for the twizzle. Olympic medal favorite Yevegenia Medvedeva notched the highest score ever recorded in the ladies’ short program. The Russian looked weightless performing her routine, even raising her hands above her head on elements. American Bradie Tennell made her Olympic debut and skated a clean short program. She finished in fifth place in the women’s short program and earned the U.S. six points. Only Canada, OAR, Team USA, Italy and Japan advanced to the free skate phase of the competition. Americans Alexa Scimeca Knierim and Chris Knierim finished fourth in the free skate earning seven points. The team event concludes on Sunday in Primetime on NBC and NBCOlympics.com. Husband and wife duo Chris and Alexa Knierim turned in another solid performance during the pairs free skate. Although they stumbled on a few difficult tricks, they still managed to score 126.56 pts, placing the U.S. third overall. Women’s snowboard slopestyle qualifying was cancelled due to windy conditions. The final will still be held Monday (Sunday night in the U.S.), but all 27 athletes will now compete in the final, and it will be a two-run format. The men’s downhill, the opening Alpine skiing event, was also postponed because of wind. The event will now take place on Wednesday, Feb. 14th at 9 p.m. ET. Norway’s Simen Hegstad Kruger won the 30km men’s skiathlon. It was his Olympic debut, and while it ended happily, the start was much more inconspicuous. Krueger collided with two other skiers shortly after the start of the race. At one point, he was 37.8 seconds behind the lead. Martin Johnsrud Sundby and Hans Christer Holund completed the Norwegian sweep of the event. The highest finish by an American in the event belonged to Scott Patterson. He finished 18th overall. Team USA faced Finland in a meaningless match, however the Hamilton siblings were hoping to build on their win the day before. Instead, the U.S. lost 7-5, and the siblings finished round-robin play with only two wins. Matt and Becca Hamilton will play again in the Games in both the men’s and women’s team events. They will begin practice with their teams on Tuesday. Sven Kramer is the first male speedskater to win the same event at the Olympics three times. This is Kramer’s eighth Olympic medal making him the most decorated male Olympic speedskater. Kramer broke his own Olympic record, finishing with a time of 6:09.76. There was a photo finish for the silver medal. Ted-Jan Bloemen edged out Sverre Lunde Pedersen for the second-place finish. The second and third place times were split by two one-thousandths of a second. American Emery Lehman finished 21st overall and was not expected to contend for a medal. 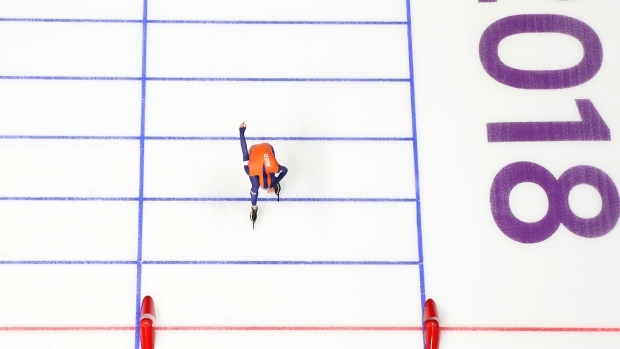 Dutch speedskater Sven Kramer set three Olympic records as he took home a gold medal in the 5000m. The U.S. beat Finland 3-1 in their first game of the preliminary round. Team USA outshot Finland 42 to 24. Finland’s Venla Hovi scored the game’s first goal with six seconds remaining in the first period. The U.S. rebounded in the second with goals by Monique Lamourex-Morando and Kendall Coyne. Goalie Maddie Rooney made 23 saves in net. Head coach Robb Stauber kept his starting goalie a secret, but chose Rooney to maker her Olympic debut. The Americans added an empty-netter to make the final score 3-1. 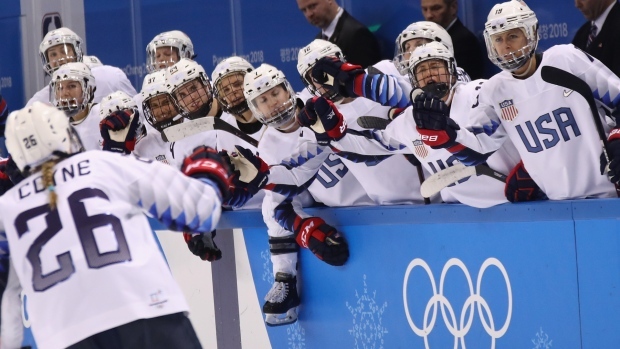 The U.S. women’s hockey team beat Finland, 3-1, in their first game of Olympic play.